Most cinnamon sold in the United States is the cassia variety, which is often labeled as Chinese cinnamon. Its scientific name is Cinnamomom cassia, also known as Cinnamomom aromaticaum. Ceylon cinnamon, which is native to Sri Lanka, is more difficult to find and more expensive. Its scientific name is Cinnamomum zeylanicum, and it is also known as Cinnamomum verum -- "verum" means "true." You may have to go to a specialty gourmet store or upscale food market to find it. Both types of cinnamon have been studied for their health benefits. In a 2012 study published in the "International Journal of Preventive Medicine," diabetic patients were given 3 grams of an unspecified cinnamon supplement per week or a placebo. At the end of eight weeks, the test subjects experienced improvements in blood sugar and triglycerides, and they lost weight compared with the placebo group. A 2012 review article published in "Diabetic Medicine" examined 16 studies of Ceylon cinnamon specifically. The researchers uncovered beneficial effects on diabetic complications, with no toxicity to the liver and kidneys. Toxicity might, however, be an issue for cassia. In addition to its potential beneficial effect on glucose metabolism and body weight, Ceylon cinnamon also contains antioxidant compounds called proanthocyanadins. These are similar to the antioxidant compounds found in green tea and grapes. Coumarin-free Ceylon cinnamon may also be beneficial to the liver, according to studies reviewed by "BMC Complementary and Alternative Medicine" in 2013, with no adverse effects to other organ systems. Other benefits may be antimicrobial and anti-parasitic activity, digestive health and blood pressure reduction. It is probably OK to use smalls amount of cassia occasionally. But if you are a daily user, it pays to seek out Ceylon, or “true” cinnamon. Even if you do choose the Ceylon variety, more is not necessarily better. Use it in moderation for culinary and medicinal purposes, and monitor any health conditions with your physician. Some bottles of powdered cinnamon may not specify which type it is. Usually Ceylon will be labeled. 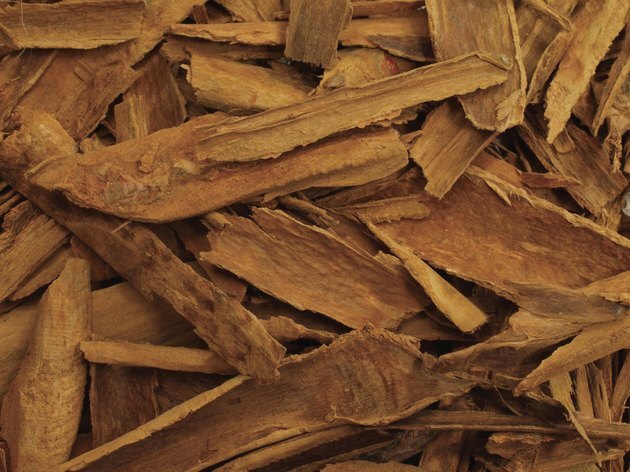 If you have unlabeled, whole cinnamon sticks -- which are actually the plant bark -- the rolled bark of Ceylon cinnamon will be thinner and multilayered compared to the thicker bark of cassia.